I didn't know that the big bush out our bedroom window was a beautiful purple lilac bush until it exploded in color this week! It's like an explosion of spring-ness! Great color composition. Beautiful lilac bush. 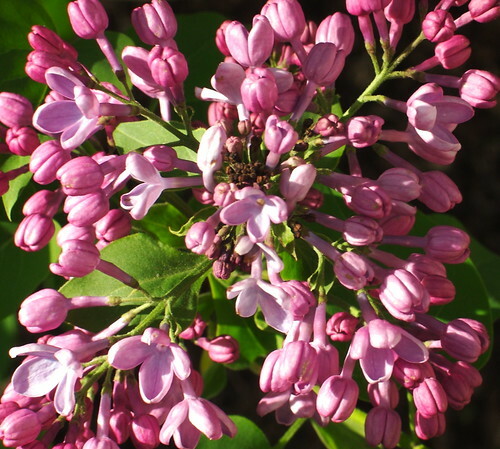 Most of the time out lilac don't bloom until May. Beautiful! This iw what we love about Oregon and that is why were glad we are staying here! Haha I bought some great flowers and as soon as I brought them home they got ugly haha, we are hoping they will make it but we will see. Was there a baby name update that I missed? i had a lilac tree in my yard as a little girl. i was so taken with them, the color and the fragrance that i used to eat them.